Every year around this time I used to submit my film school projects to various film festivals that caught my attention. Part of my student experience was about reaching out to different sources for validation and promotion. It sounds needy, and that's because it was. I wanted to know that I could find work in video after university, and film festivals proved to be the ideal testing grounds for developing my skills in self promotion. As it turned out, that was the least of what I got. 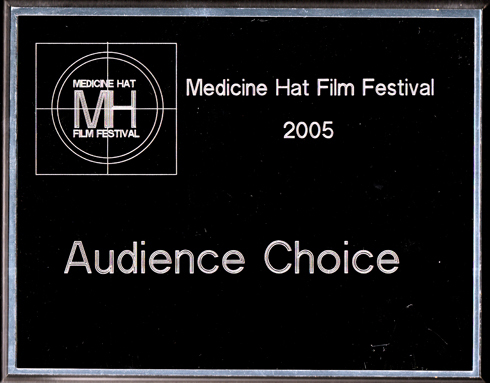 The very first film festival I submitted my work to in 2005 was the Student Video Competition portion of the Medicine Hat Film Festival. It was always a pretty small gathering with no more than 30 or so submissions, but it ended up becoming a testing ground for my work before submitting my projects to bigger student festivals. I submitted my experimental short, Keys to Existence in the 2005 festival and ended up winning the popular vote for the Audience Choice Award and 2nd place in the video category from the jury vote (the other category was animation). I still have the small plaques on my wall as a reminder of that competition and what it ultimately lead to. Keys went on to screen at Youngcuts International that year in Toronto, followed up by a digital media festival in South Korea in early 2006. My success in my hometown festival is what I credit with opening the flood gates to the other venues that I avidly pursued in the few years that followed. 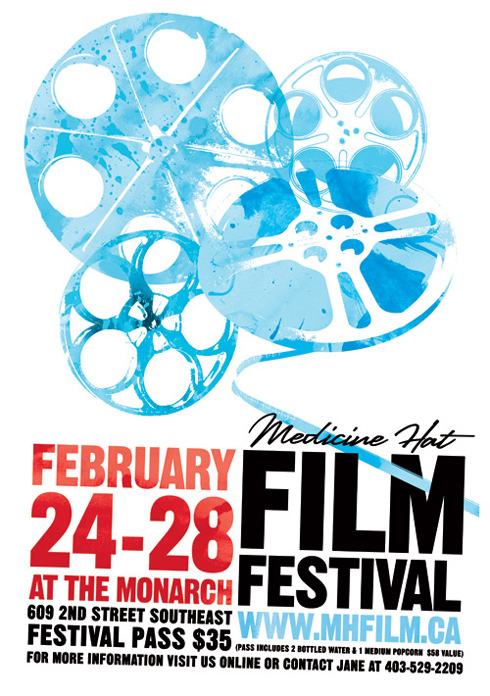 One of the other benefits of the Medicine Hat Film Festival came later in 2007, when Stream Media was one of the key sponsors for the fest. After returning home to Medicine Hat after university in 2008, I contacted Stream about potential employment opportunities. My involvement in the festival became my foot in the door, and after a brief interview I was offered a job working alongside a small team to help shoot and edit promotional videos for corporate clients. It was an amazing opportunity, and the start of a business relationship that I still benefit from today. I always tell people who ask about my start that I never had a very stable plan after film school, but I had hoped that the film festivals I participated in had helped me cast a big net. I became really opportunistic, and I jumped at any opportunity that seemed even mildly related to the things I was interested in in the hopes that I could make them even more relevant. 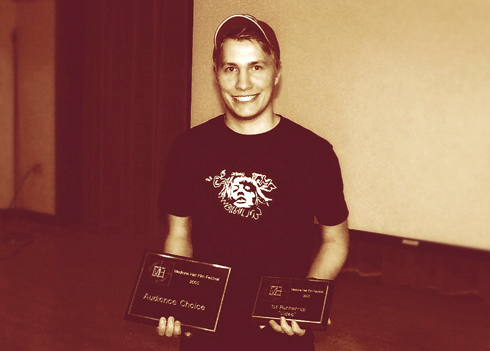 I owe that mindset to the experiences I got from my participation in student film festivals. 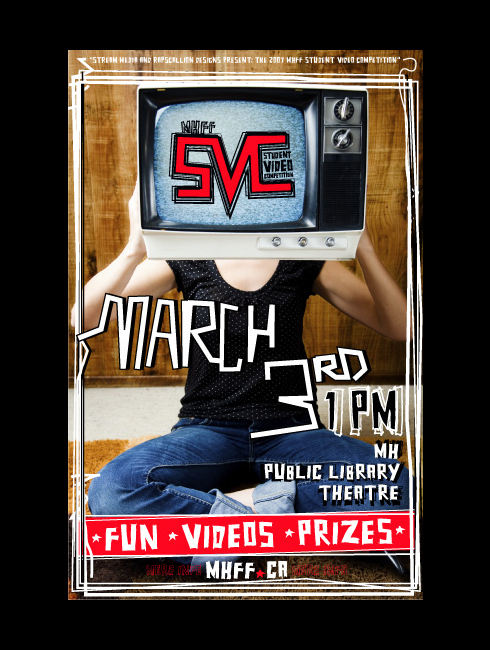 The Student Video Competition in the MHFF hasn't run for years now, and it's simply due to lack of sponsorship and organization. It's a big undertaking, and it does take a lot of work to drum up enough attention to get quality submissions. It's a shame, because as a student who was just starting out it was a great experience. 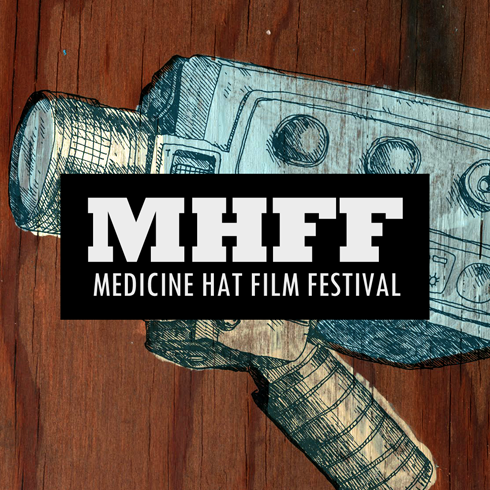 Before YouTube, before I ever screened my work at venues outside of Canada, and before I found work as an editor, I shared my work at the MHFF.